Château Les Ormes de Pez is one of St-Estèphe`s leading Cru Bourgeois properties. It was bought by Jean-Charles Cazes in 1936 and is now owned and run by Jean-Michel Cazes. The latter owns Lynch-Bages The estate is located just outside the village of Pez in the northern part of the St-Estèphe commune. There are 32 hectares of vineyards, which lie on soils rich in gravel on a subsoil of sand and clay. They are planted with 60% Cabernet Sauvignon, 30% Merlot and 10% Cabernet Franc. The grapes are hand-harvested and then fermented in temperature-controlled, stainless steel vats. The wine is then matured in a combination of one and two-year-old barrels from Lynch-Bages. In the last decade, the wines have become richer and more fruit-driven - selection at harvest has become more rigorous and the proportion of Cabernet Sauvignon in the final blend has been increased. The wines normally require at least 5 years of bottle ageing to show at their best. Ch. Ormes de Pez is one of St Estèphe`s leading Cru Bourgeois properties. It was bought by Jean-Charles Cazes in 1936, and is now owned and run by Jean-Michel Cazes (who owns Lynch-Bages). In the last decade, the wines have become richer and more fruit-driven – selection at harvest has become more rigorous and the proportion of Cabernet Sauvignon in the final blend has been increased. The ever-improving Cazes stable has come up trumps again this year. From a commune which on the whole fares better in hotter vintages and suffered through hail in 2011, the inviting sweet vanilla and blackcurrant nose of Ch. 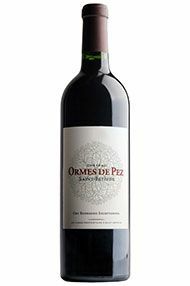 Ormes de Pez provides a rich, flamboyant, succulent palate with great depth and a finish of perfectly ripe dark fruits. It packs a punch to boot. The location of the vineyards on sandy gravel and a subsoil of marl and limestone are responsible for a real density, which is atypical of the vintage. Under the watchful eye of Jean-Charles Cazes this property has been going from strength to strength and the wonderful earthy bramble notes combined with the dark fruit are a testament to the great wine making that is taking place here. 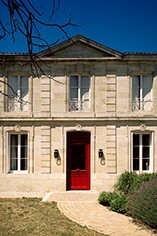 One of the few underrated properties in the Medoc still left in the area, it seems a bargain at this price. Shows the pebbly, slightly austere character typical of the AOC, with taut red currant, damson plum and lilac notes stretching out over a tangy iron edge. A light savory echo on the finish, and fully mature. Ch. 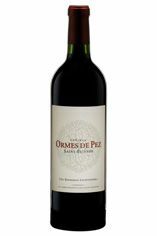 Ormes de Pez was a stand-out wine in 2010, with a generous, vivid fruit and glossy mouthfeel perfectly balanced alongside the classic St Estephe character and structure. It is starting to drink well now, but will be an excellent addition to your cellar for very pleasurable drinking over the coming years. Apart from a very few exceptions, we have struggled with St Estèphe as a commune this year, with many wines suffering from its usual ‘ungenerous, mean, tight’ characters. Throw that script out of the window with this wine though, it is glossy and glamorous but with a classic St Estèphe style. This is a cellar must-have and will be a bargain within the anticipated madness. I have always been a massive fan of this estate owned by the Cazes Family of the Lynch Bages fame. It is always a bit masculine in style and this year is no exception. Intense black cherries on the nose with a hint of sweetness and spices together with uplifting freshness. Lovely juicy approach with velvety tannins. Good long fresh and focused finished. Lovely. 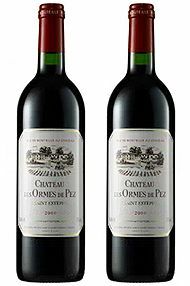 With a violet, almost Pomerol character, the 2009 Ormes de Pez is a seductive, concentrated wine with ripe, juicy mulberry fruit and ultra-ripe tannins providing structure. A smooth, velvety mouthfeel and wonderful harmony on the palate make this a truly gorgeous wine. This would be a brilliant value buy. Ch. 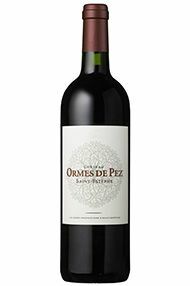 Ormes de Pez was the first wine on my value list and really is one of the best 2009s under £300. Made by the same team and in the same meticulous style as Ch. Lynch Bages, it is a seductive, concentrated wine with ripe, juicy mulberry fruit and ultra-ripe tannins providing structure. A smooth, velvety mouth feel and wonderful harmony on the palate make this a truly gorgeous wine. Consistency reigns at the Cazes stable, from Ch. Villa Bel-Air through to Ch. Lynch-Bages, and this shows the finer touches brought in by Jean-Charles Cazes. Ch. Ormes de Pez is no exception. From a commune for which 2012 was a challenge for many, this beautiful wine provides an abundance of vanilla and dark fruits on the nose backed by a plump, graceful and silky palate. A bright lift of crunchy red crunch lifts the wine elegantly through a long finish. The consistency and price of this wine make it an attractive proposition every year. 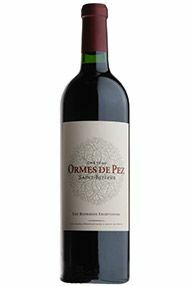 The 2008 Ormes de Pez is one of the few successful wines from St Estèphe this vintage. With a lovely, enticing nose, it is full of the dense, dark fruit of the commune but with a creamy, raspberry twist to the finish. The tannins are so ripe they are almost powdery on the palate – incredible considering how linear and firm the majority of wines from this commune were – and at this price, it’s an absolute bargain. An extremely impressive and classic Ormes, this does everything it should. Liquorice, blackberry and blackcurrant leaf play on the nose. Lush, ripe fruit is cut with lovely fresh acidity, rounded off by soft, mouth-filling tannins. This is excellent value; definitely one of the best buys in Bordeaux. The nose has a striking, focussed intensity, with enticing aromas of very fresh black fruits and a perfumed note of violets. On the palate this is a delicious and hugely impressive example of modern styled St Estephe. There are firm but superbly integrated, fine knit tannins and a precise, refreshing acidity. There is a superb brooding intensity to the flavours of blackberries and black cherries, which mingle with toasty, creamy notes. The finish is long and crisp with all elements in perfect balance. For me this is the best value of the vintage and is an outstanding value. A welcoming perfume with hints of menthol and lovely red fruits emerges from the glass. There are striking tannins, a nicely judged acidity and a presence of fruit throughout the mid palate, unlike some other 2013s. This has a dark ruby hue. Even before you have lowered your nose into the glass, this comes at you with a wave of dark, black fruit – think Morello cherry, cassis and liquorice. The palate feels “cool” but is full-bodied, with elegant, silky tannins and a long finish.